Your cousin from New York married your roommate from Alabama. This home is New York sophistication meets comfortable southern style! Just 14 years young, this large family home was built to welcome and impress. Gracious two story entry foyer with dramatic chandelier greets you and your guests. Photo-ready for everything from family reunion to prom photos, this staircase is the perfect entry to this almost 5,400 square foot home. Intricate crown, chair rail and casing moldings abound. Flanking the entry is a spacious office and living room. The office has sight lines to the front yard so you can receive colleagues, deliveries and guests alike. The large formal living room gives way to a light filled dining room fit for formal entertaining and large family gatherings. Family living space include a chefs kitchen with high end stainless appliances, cooktop with downdraft, double ovens and a built in refrigerator. As the heart of the home, the kitchen overlooks the adjacent family room with gas fireplace and breakfast area with access to the backyard. The dream mud room is prefect to contain daily messes, while the adjacent dare-to-dream laundry has enough space to meet all of your laundry needs. Upstairs, you will find 4 gracious bedrooms and 3 full bathrooms. Opulent master suite has its own gas fireplace, separate sitting room and to-die-for walk-in closet with built-ins and an island. Your closet even has a closet for shoes and purses! Dont miss the grand master bathroom with soaking tub, dual sinks and "car-wash" shower with body sprayers and separate shower wand. Second bedroom, fit for a prince or a princess, has en-suite bathroom and a walk-in closet. Downstairs, you will find a massive recreation room with two TV viewing areas okay... you can have the pool tables and TVs too!. 5th large bedroom and adjacent full bathroom...plus storage...with built in shelves! 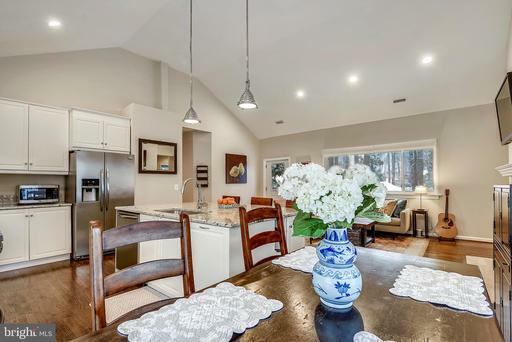 High ceilings, fresh paint, refinished wide-plank hardwood flooring and new carpet will allow you to move in and put your mark on this home without busting your budget. Outside, you will find a manageable yard that takes less than 20 I promise.. minutes to mow, but has a sunny strip for a home garden and privacy for entertaining on the giant deck. The joy of this location is that there is plenty of room to play on this private cul de sac and the adjacent Stratford Landing school grounds with tennis courts and a to lot. Its like having a 16 acre estate without having to maintain it! Recently renovated, Stratford Landing Elementary is a stones throw away and the home of the advanced academic placement program for the nationally ranked West Potomac High School pyramid. 7 miles from the Huntington Metro and Old Town. 12 miles to Amazons HQ2, and just minutes to 495, 295 and points north and south. Minutes from everything but miles from the ordinary, Fort Hunt is an enclave of single family homes adjacent to historic Mount Vernon, Fort Hunt Park and the Potomac River. You will find some of the most competitive youth athletic teams in the region amongst some of the friendliest people. Do not miss your opportunity to own this one of a kind residence in the heart of our Mayberry! Simply stunning open floorplan just steps to the Potomac River and two minutes from Old Town neighbor says he can get to King Street listening to only one song on the radio. Open living, kitchen, dining and family room on the main level. Gorgeous hardwood flooring and wood burning fireplace. Open kitchen features a 7 island with waterfall quartz counter tops, huge pantry and high end stainless appliances. Sleek design compliments both modern and transitional styles.The Family room is just a few steps from the kitchen and provides access to the garage and rear patio/yard.Main level master bedroom features two closets and large master bathroom with double sinks, massive shower and custom tile. Lower level features two additional bedrooms, full bath, laundry area and gigantic recreation room. Plenty of room for storage too.Dont miss this! Welcome to historic Maywood. One of Washingtons oldest Trolley communities. Established in 5 sections between 1909 and 1913, this neighborhood transports you back to a simpler time of large front porches and streets lined with mature trees. Connect with nature along the Custis Trail with access to the GW Bike Path and its 40 miles of trails and scenic vistas along the Potomac. Revel in the speed at which you can get to major attractions in DC and Arlington 7 minutes to Georgetown University, 7 minutes to Clarendon and 22 minutes to Capitol Hill. This large family home sits at the top of the neighborhood on a flat lot across the street from Maywoods Mini Park. Originally built in 1972, this home has been expanded to suit the needs of its owners large family and is now looking for someone to steward it through the next century. Flexible floorplan allows for many options and uses. Bring your architect and your vision and become Maywoods newest resident! Biker/Runners paradise! Just two blocks to the GW bike path and no crossing over GW Parkway! Rare open floorplan one-level rambler with dramatic vaulted ceilings in the great room, and literally surrounded by nature. Enjoy cool nights by the great room fireplace overlooking the wooded 1/2 acre yard. Prepare chefs quality meals in the large open kitchen with granite counters, stainless appliances and gas cooking. Luxurious master suite has glass doors to deck, lux master bathroom with double sinks and a large shower, and a walk-in closet too. Remaining 3 bedrooms and full renovated bath are privately located on the opposite side of the house. 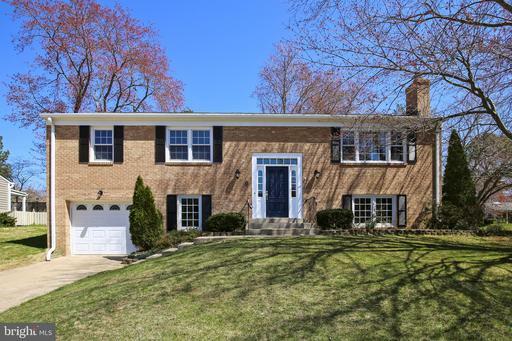 Outside, you will find a large deck, fully fenced backyard, shed and large driveway with parking for 4 cars.~ Located on one of Alexandrias most prestigious streets, this home is steps to the stone bridge and Potomac River. You can be on the Mt. Vernon bike trail in seconds and enjoy its 40 miles of trails, scenic water views and historic stops. 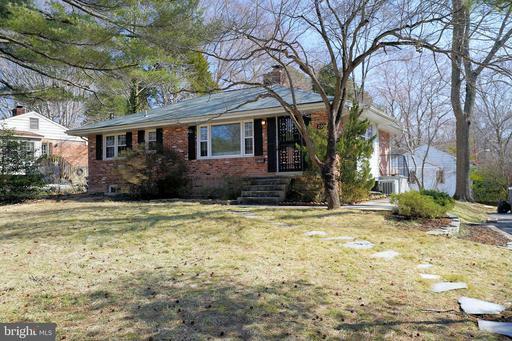 Just a 5 minute drive to Waynewood Elementary and Carl Sandburg, and a 15 minute bike ride to Old Town Alexandria! Only 12 miles to Amazons new headquarters along the Potomac River and George Washington Parkway and 5 miles from Old Town Alexandria no stop lights. 5 miles to Huntington Metro station and just 1 block from the 11Y bus service. Tauxemont neighborhood features two community tennis courts, large wooded lots and some of the best community well water in the County. This is your rare chance to stake your claim to land on one of George Washingtons original 5 farms. With a history dating to our founding fathers, this home has renovations that would be the envy of Jefferson, Lincoln and Washington himself. Open concept home that George could only dream of boasts a Chefs kitchen with granite counters, 2 what??? 2!!! pantries, new stainless appliances, custom lighting, and designer two-toned cabinetry with soft close doors/drawers. Large main level living room and dining room feature refinished hardwoods and access to the charming rear deck and backyard sprinkler system too!. Barbeques will be a breeze! The main level includes 3 spacious bedrooms all with hardwood flooring. Master bedroom has two closets and a glam master bathroom with marble accents and custom lighting. Spacious hall bathroom has also been renovated with a 48" vanity, sconce lighting and timeless patterned tiles that Martha would appreciate. Downstairs, you will find a large recreation room with wood-burning fireplace, 4th bedroom with renovated en-suite bathroom and a dream mudroom space waiting for your special touches. Practical garage is perfect for cars, bikes and other things you want to keep from the elements. 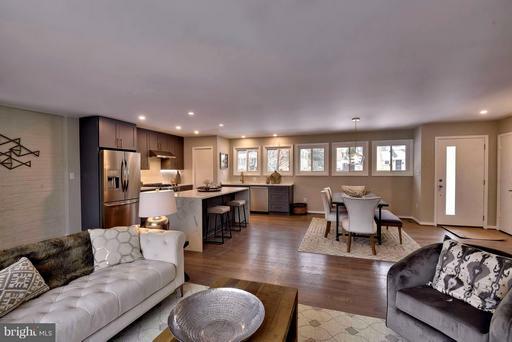 Located on a quiet cul de sac just 6 miles south of Old Town Alexandria, you will be a part of one of Alexandrias most sought after communities. 12 miles to the new Amazon headquarters, 5 miles to the Huntington metro and just a few blocks to the social 11Y bus stop. One of Hollin Halls most scenic locations and Waynewood School District to boot! 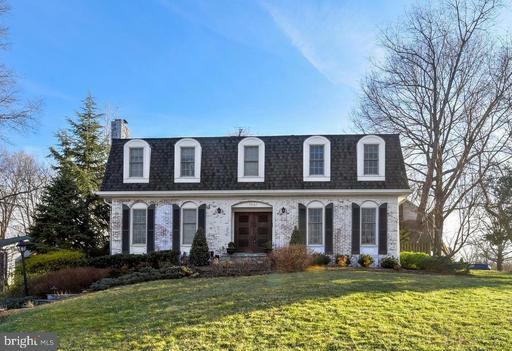 Perfectly perched on top of the hill, this raised rambler offers commanding views of the front lawn and wooded streetscape. The neighborhood pride shows! Many neighbors have expanded and renovated their homes, but you dont need to do anything here! Large kitchen has white shaker cabinets, subway tile backsplash, granite counters and stainless appliances. Main level has three bedrooms and one renovated full bath. Hardwoods have just been refinished and fresh paint too. Lower level offers a thoughtfully designed recreation room space, legal 4th bedroom with egress window and full bathroom. New carpet and fresh paint make this move in ready! Large Hobby/storage/utility room is also on this level as well as walk-up stairs to the private fenced yard. New roof, replacement windows, and newer systems make this a turnkey property with years of worry-free ownership. Located in Hollin Halls wooded and sought after southwest quadrant, you are just 4 blocks from the pool and 8 blocks to the Safeway and Variety Store. 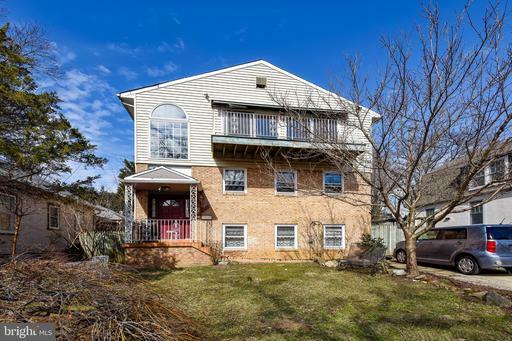 This rare walkable location in Fort Hunt has access to the 11Y bus to DC and commuting options such as the GW Parkway less than 1 mile, Huntington Metro 4.8 miles and I-495 4.5 miles. Dont miss this one! Wow! 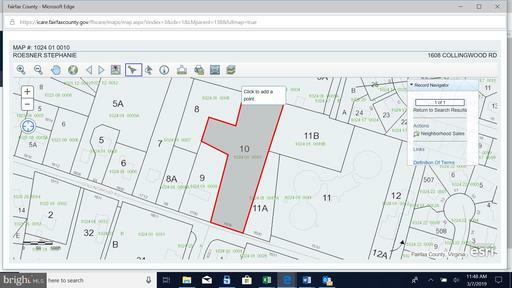 large building lot in Waynewood School District. Some RPA and floodplain issues, but a steal at this price. 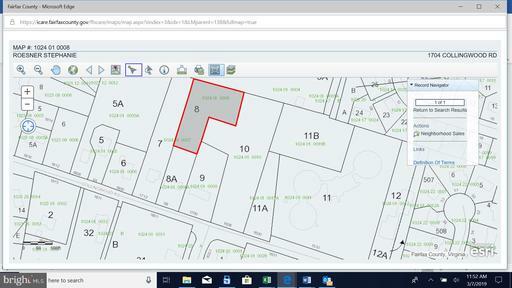 Many uses under R-3 zoning. See MRIS documents for a vision board with ideas for residential usage, survey and subdivision study. NOTE: If 1608 is sold separately from 1704, a Right of Way will be established over 1608 to provide access to 1704. PROPERTY UNDER VIDEO SURVEILENCE. NO TRESPASSING. LISTER MUST ACCOMPANY ON SHOWINGS.